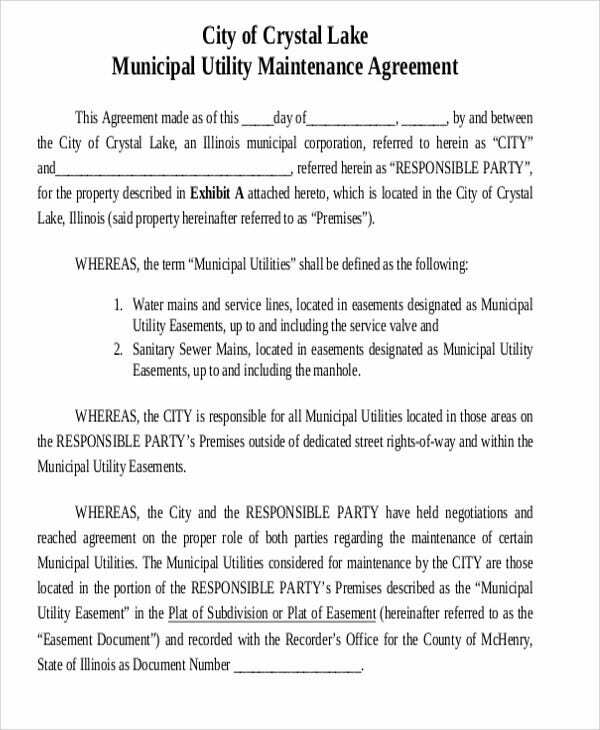 Maintenance contracts also state the free fixed service fees payable by the party who gets to benefit from the services with the corresponding payment terms. Although individual clients can make use of them, maintenance contracts are usually used by businesses. 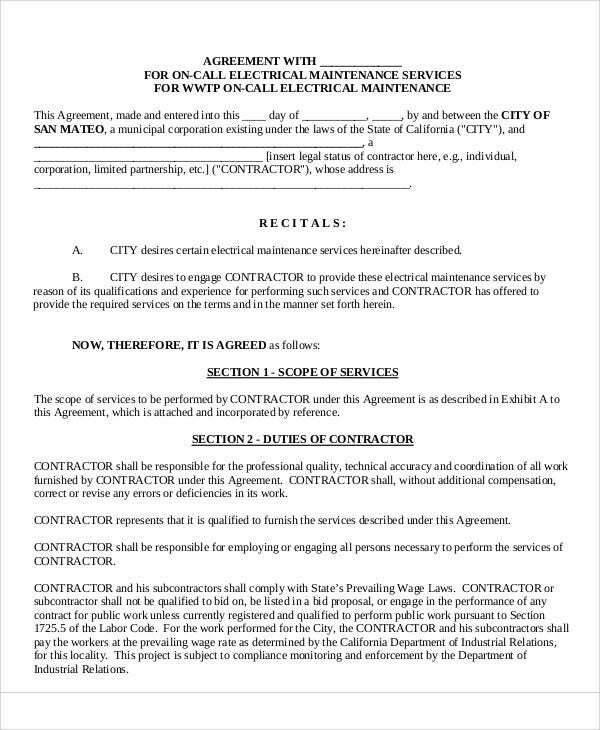 Rendering of these services may also need the provisions of a service contract that you can acquire via our service contract templates. 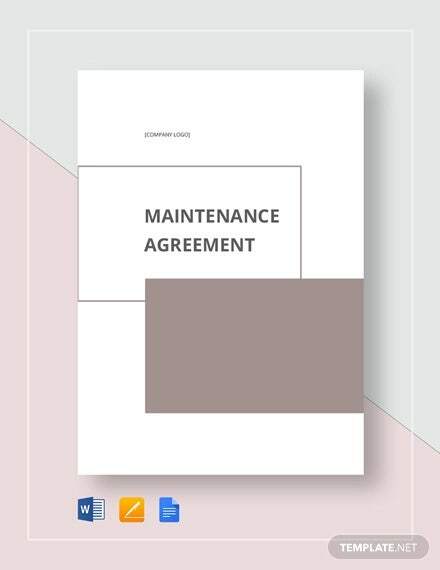 Maintenance contracts is the crucial document usually used by businesses who are using the benefits of service providers. 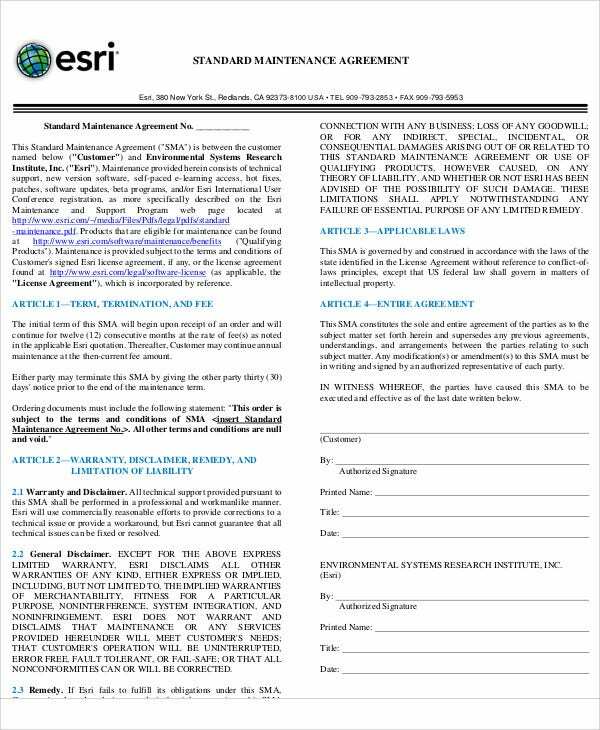 For that reason, contract agreements (contract agreement templates) should be properly laid down to ensure that conditions and agreement terms are properly observed. 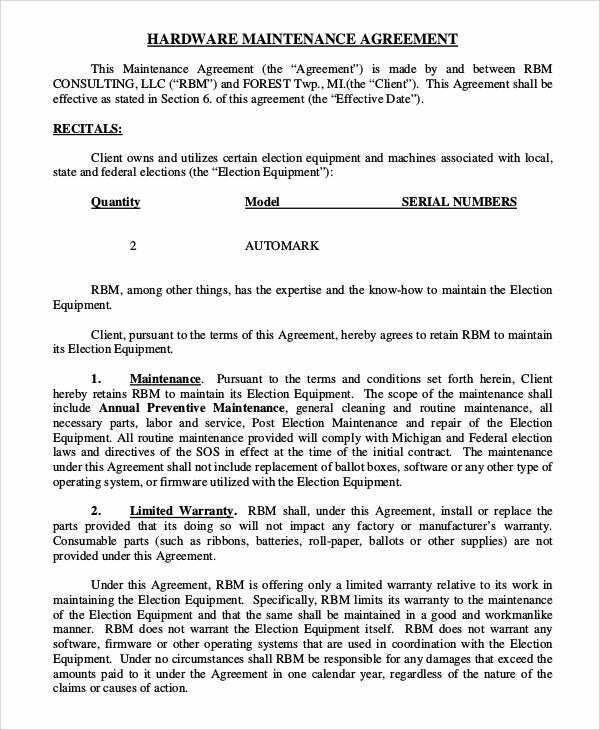 One of the reasons why maintenance contracts are important because some equipment used in business have only limited warranties. That is why keeping a maintenance contract is important because it includes covering the labor for service providers. it does not only ensure the proper functioning of the equipment but also boosts the life expectancy of the equipment used. 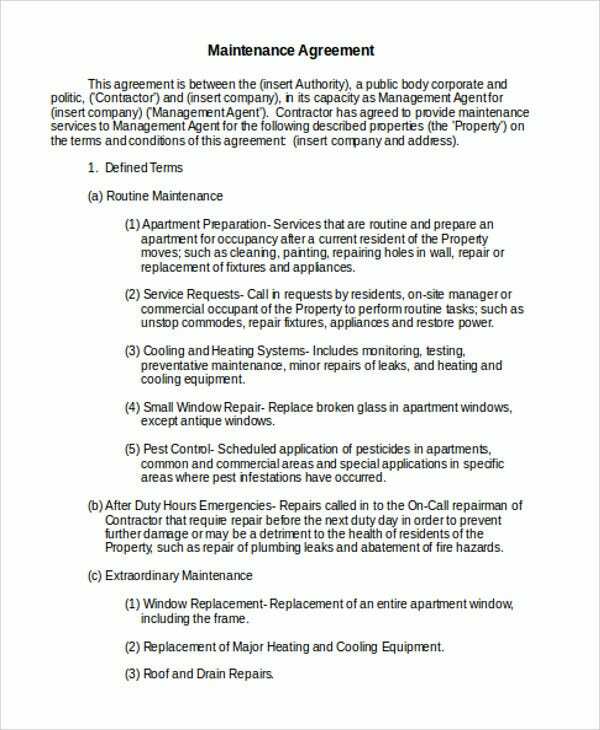 Maintenance contracts also includes ensuring safe operation (operating agreement template) and guaranteed discounts on repairs. 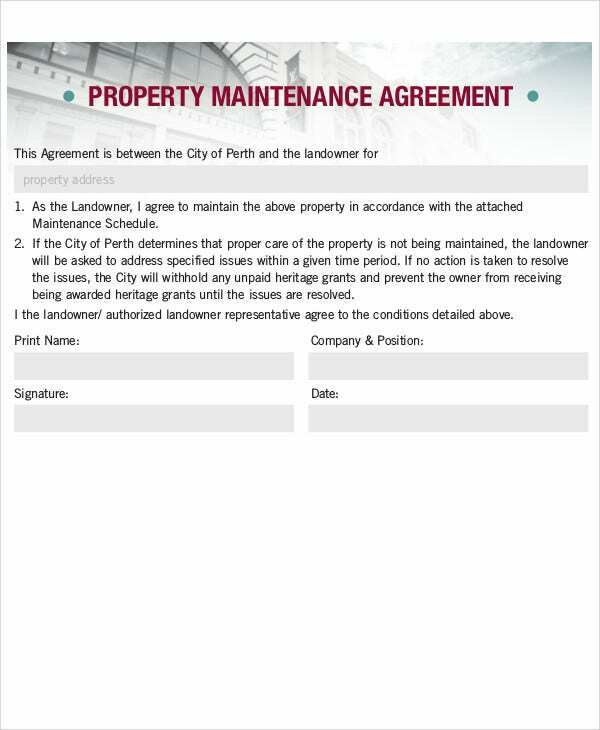 Maintenance contracts plays the vital role making sure that the property, goods, materials that are being used in the business operations is at its finest quality, which increases a business’ efficiency. 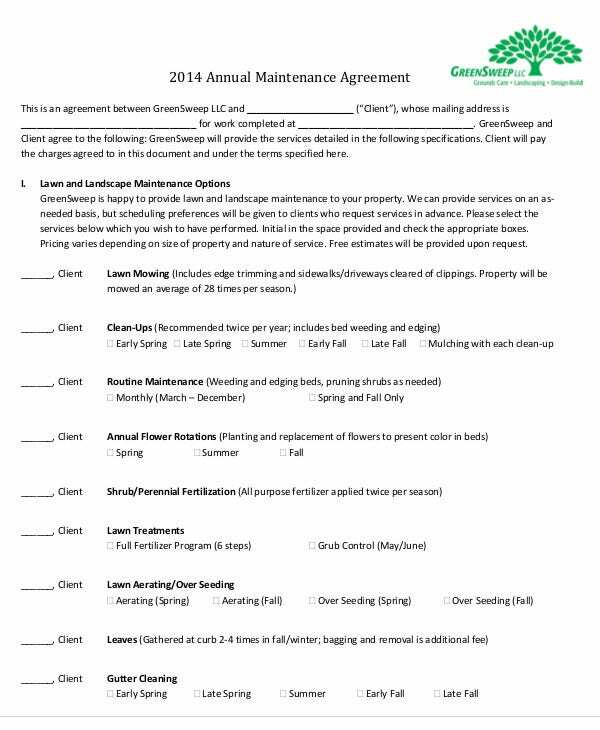 Maintenance agreements does not only ensures the properties and equipment owned by the business but also tightens the relationship of the client and the service provider. Billing Structure – A billing structure in your maintenance contract immediately answers the common questions of the client with regard to the estimated amount to be paid. Interim Caps – This section provides limits to the services acquired by the client, if ever the client has consumed more than the usual, charging interim caps should be done. 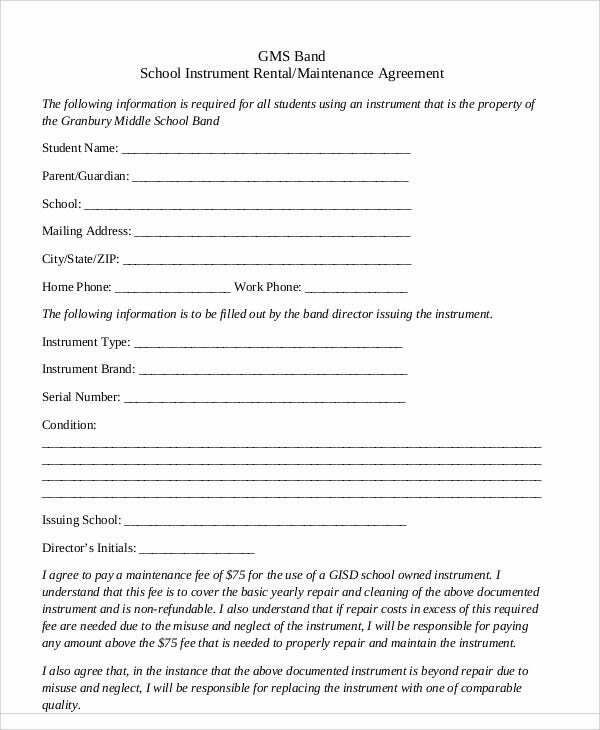 Late Payment – Details regarding the late payment should also be included in the contract so that the client knows how many days they have left to send in the payment. Also indicate if there is any penalty for late payments. 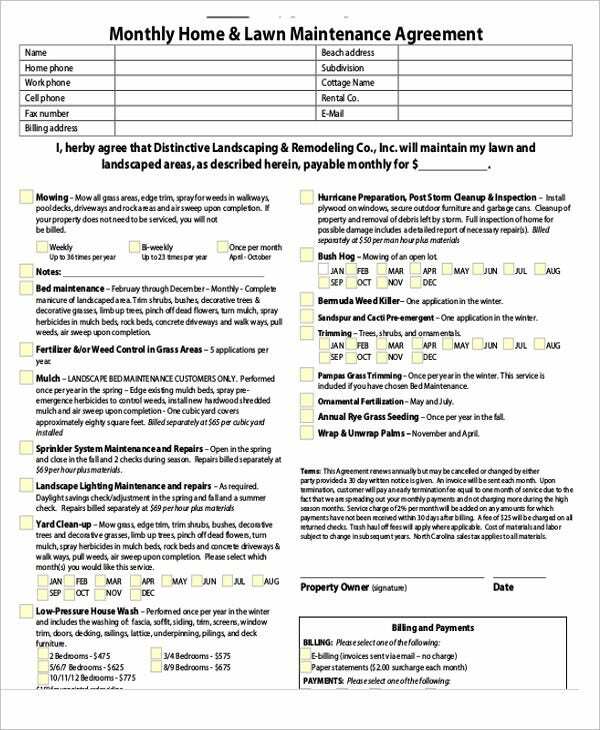 Schedule – Proper scheduling should be properly set so that the client will know if you can provide the on a twenty-four hour service, or if you can provide services on holidays and weekends. 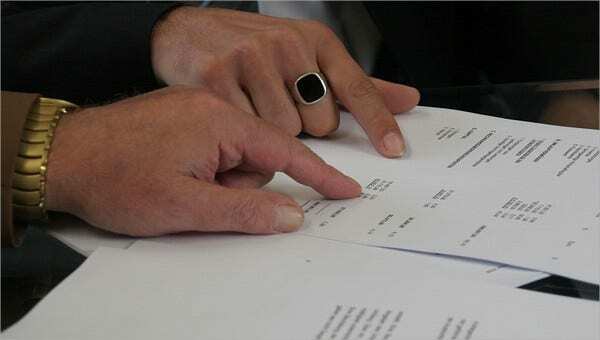 Termination of Services – This section should be stipulated so that both parties will know the limits as to the how long the services are to be provided. Complying with all these things would help keep your contract and the realization of the arrangements run smoothly.